Fry bacon in a large, deep skillet over medium heat. Drain on paper towl (standard bacon procedure here). Once cooled (about 10 minutes) chop it into small pieces. Stir the cream cheese and ranch dressing mix into a bowl until smooth. Add bacon, cheddar cheese, green onions, and olives. Stir until throughly combined. Shape it into a log (rounded ends give a nice appearance). Take the bacon (and pecans, if you’re using them) and spread them out on a cutting board. 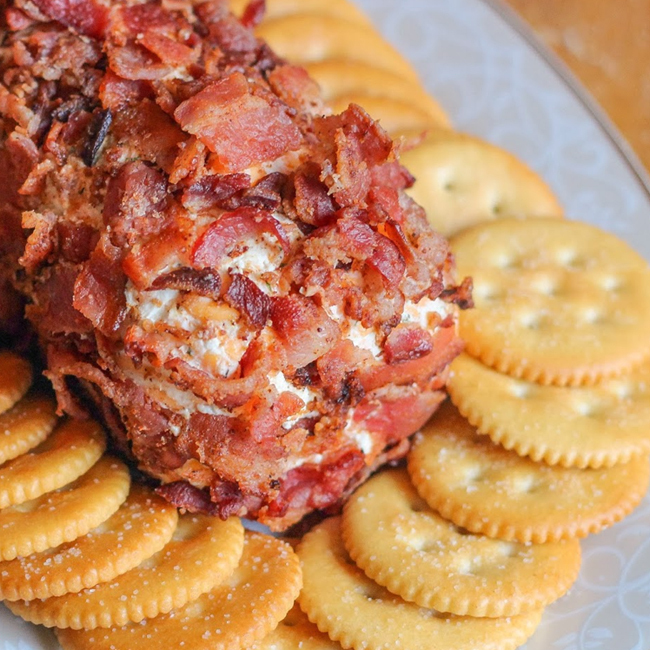 Roll your cheese log over the bacon and nuts so the log is nicely coated in bits of each. Refrigerate over night, and serve the next day. Can be served cold, though I like to let it warm just a touch. The title is short for a reason. Steak is a great food because the simplest recipes are the best. 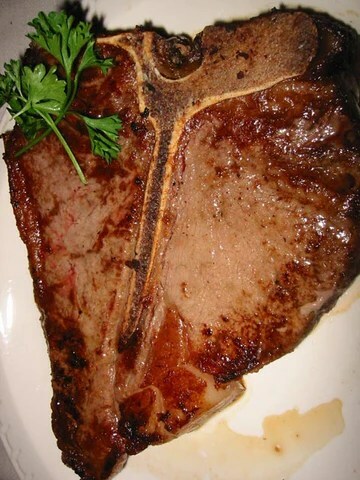 The more complex a steak is, the worse it’s going to be. The best steak is simple and easy to make. This one throws in some bacon salt for a little bacon flavor without complicating things by adding actual bacon. Fire up the grill, or if you’re cooking indoors, use an electric griddle. Make sure the steak is thawed throughly if you had it frozen. Put it on the heat, and cook it to your desired color. With steak, as long as the outsides are fully cooked, it’s pretty safe to eat. The best temperature for a steak is medium rare, which means you want to cook it to about an internal temperature of 135 degrees. The USDA says 145, but they’re erring on the side of caution. If you get your steaks from a good butcher that you trust, you can be done at 135. If this is a standard grocery store fare, go ahead and cook it up to 145 just to be safe. Take it off the heat, plate it up, and season it with the bacon salt. Getting the cooking down can take a little practice — you don’t want to have the outside burned before the middle is done — but ultimately, the key to a good steak is simplicity. There’s a very good chance that if you’ve found this blog, it’s because you’re one of my followers on Instagram. That’s what this Bacon You Crazy thing started as. As of the writing of this post, it’s not much else! I post pictures of bacon, generally being used in creative, bacon based recipes. 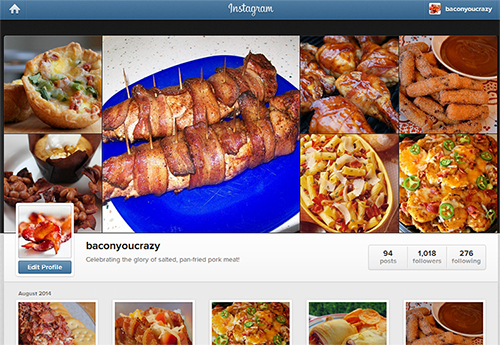 Everyone loves bacon, so it’s picked up a small following so far of big time bacon lovers. I love dicussing bacon with you guys, and often get asked questions about the recipes and such that would be better explained via something better than a comment on an IG picture. Something like, say, a blog post? So that’s what brings us to this moment, when I’m launching this WordPress blog. Who knows what the future will hold for this crazy thing? For right now, it’s just something fun to pass the time. 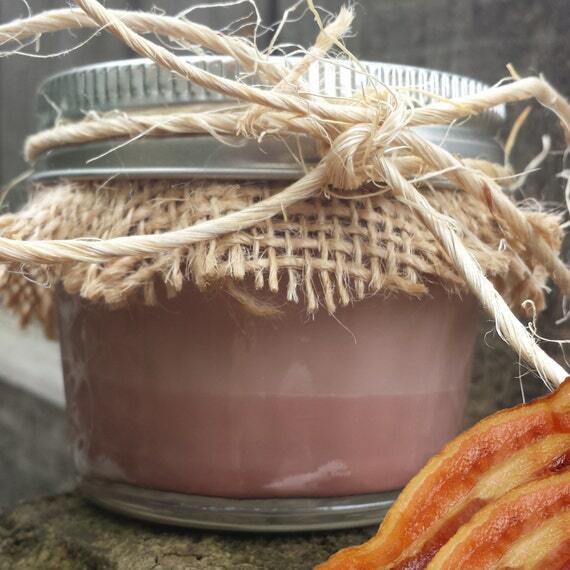 I’d love it if this site could become an active community for bacon lovers, but what’s most improtant is just that I and everyone else have fun with it! So welcome to all you people who have a phone with Instagram open in one hand and a fistful of bacon in the other. I hope you enjoy the site!